The aim of this paper is to try and take a closer look at the relationship and the differences between a cultural renaissance and a re-creation of culture for profit. I will look at examples from the groups that have had the most impact on the culture of Nova Scotia from the beginning to the present. The groups I will be discussing are the Scottish, the Mi’kmaq, the Acadians, the Germans, the Blacks (for lack of a better word), as the major minority cultures, and of course the British, who after all where “in charge” of Nova Scotia. So who in fact are Nova Scotians, and what is their heritage? To begin with, one must look at how a Nova Scotian sees themself. From the 2001 Nova Scotia census, we can gain some valuable insight. The census shows that 95.4 % of the population was born in Canada, while 50.7% reported to be Canadian as well as another origin. The census had 30.8 % claiming to have origins in the British Isles (Scottish 12.3%; Irish 4.7%); 7.2 % European (German 3.3%; Dutch 1.2%); 5.5 % French; 2.0% Aboriginal; 1.1% Arab and 0.8% African origins among the most notable. So roughly 50% of the population consider their origins to be non-Canadian, while only 4.6% can truly make this claim. This shows us quite nicely the makeup of the province, and in particular the way the people view themselves. What is interesting, is the level of pride and awareness that the European-Canadian groups tend to show. In contrast, only 0.8% of respondents claimed African origins, yet Blacks make up 3.8% of the population, that is to say (assuming that the majority claiming African origins are Black) that roughly three quarters of all Nova Scotia Blacks consider themselves simply Canadian, with no hyphen, i.e. African-Canadian. Aboriginals claiming Aboriginal origin on the other hand, make up the same total number as they have total population at 2.0% respectively. These facts suggest that those of European descent tend to hold on to their origins and may even exaggerate them. Why is it then, that the Europeans-Canadians tend to be extra proud? Is this a sort of cultural renaissance with a romantic idea of ties to the homeland that most have only seen in pictures or heard grandparents speak of, or is it simply a re-construction of culture for profit? I will look at several examples throughout this paper to examine these questions. To begin with, I would like to look at Nova Scotia in the mid-20th century. For the last 200 years, the province has been largely populated by those of Scottish descent. Today, ceilidh is a household word and fiddle music and bagpipes are as normal to Nova Scotians as no shopping on Sundays. The Scottish settlers who arrived in Nova Scotia came in two distinct periods, and the first group that came before 1815 left Scotland for the most part willingly. 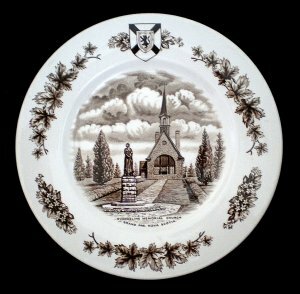 It is true that many of the traditions and customs have survived and evolved since they arrived in Nova Scotia, but what of it is authentic? Many people simply enjoy the Scottish festivals, such as the Highland games in Antigonish – the oldest in the world outside of Scotland. Others feel their association by name to an ancient clan as a rite, and consider themselves direct descendants of the original Highlanders to the Province. Highland Pipers can be seen virtually anywhere, but especially at the tourist office. One does not have to look far to find out that commercialism has entered the mix, just look at the back of any typical Nova Scotian souvenir and there’s a good chance you’ll see “made in China.” But that is too easy, let’s go further. Me-tooism is a good starting point. Possibly the event that set all of this off, was a visit to Glasgow in 1938, when Premier Macdonald and his delegation saw an exhibition that re-created an 18th century Highland village. It consisted of re-constructed cottages from around Scotland, painted backgrounds and a future Highland cottage of the architects own design. Many critics at the time felt the exhibit was inaccurate and not authentic, yet it drew over 1.5 million visitors, including Royalty. Macdonald had a vision for Nova Scotia. A term that comes to mind is today is Tartanization, meaning to fit the Scottish perspective. During his time in office from 1933-1954, a Gaelic College was founded in Cape Breton (1939) and an official Nova Scotia Tartan was created (1953). It was also during this time that a new luxury hotel on a cliff in the Highlands was built, and it was called the Keltic Lodge. The province’s official welcome is in Gaelic as well. In his recent book, Ian McKay uses the term “reconstructed ethnicity“ to describe the changing of ethnic identities to fulfill the pressures of tourism. This is exactly what happened during the mid 20th century in the province. It was a time of growth and development, and new roads were connecting small towns called Caledonia, Barra, Lochabar, Iona and Inverness, and people began to travel. So this cultural renaissance was born out of the goal to collect profits, and it left Nova Scotians with a reputation as generous, simple and tough Celts. In some ways it cheapened the culture, in others it strengthened it. Regardless, it drew attention to it. (Note: in August 2010, the Nova Scotia archives added a number of clips from its collection to the website Youtube.com. Archived film from the clip “Citadel City (1957)” and “The Highland Heart in Nova Scotia (1962)” show a few of the points mentioned above. The next example I shall look at starts with the immigration of the “Foreign Protestants” in 1750. They were a group of about 2000 mostly German Lutherans, but also Swiss and French settlers that were brought to the colony by the British to counter the French Catholic presence. They founded Lunenburg in 1753, and several other communities along the South Shore of the province. However as a ship building area, and having strong ties to Halifax and the British it quickly became unfashionable to speak German and many traditions simply died out with the language. What remained was mostly in place names, and surnames. Interestingly enough, many of these traditions are being re-created by the new German immigrants to the area today, and the German Canadian Association of Nova Scotia. The goals of the Association are to promote the understanding and appreciation of the German language and cultures; to preserve the cultural heritage of German-speaking immigrants and their descendants in Nova Scotia; and to support and participate in multiculturalism. Oktoberfest celebrations have now become an annual tradition, as well as the Christmas service in Lunenburg which is conducted in German. Fasching celebrations can even be found in some locales. This, in contrast to the Scottish renaissance in the middle of the last century, is very localized and is rather small scale, mostly through the efforts of the newly arrived German-Canadians, but happily embraced by the Canadians with a German surname as well by those with no ties to Germany at all. The province has currently put a major emphasis on attracting German speaking Europeans as the target tourists, however the goal is strictly for tourism, and not to re-create Nova Scotia as New Germany. I will give one last example of a recent European-Canadian cultural revival in Nova Scotia, and it will be the French, specifically the Acadians. The struggle of the Acadians, is another negative chapter in the story of British North America, and one that had profound effects on the culture of the province. The Acadians were the first European settlers to establish a permanent settlement in North America, north of Florida, in 1604. They cultivated the earth and thrived on the land they called Acadie. It is worth noting that the early Acadians had extremely strong ties to the Mi’kmaq First Nation, and the communities were very closely knit. Acadians adopted many words and aspects of Mi’kmaq life, and it has been said that in many cases the second language of both communities was that of the other. deportation. The Acadians were scattered along the Atlantic coasts from Louisiana to England and France. As a result of their expulsion, Planters from New England were invited to the Province and settled on Acadian lands. After the Seven Years War in 1763 the Acadians were allowed to return, but found their lands occupied. They settled new communities such as Clare, Chéticamp and Pomquet, which are in more or less isolated pockets along the coast of the present day Atlantic Provinces, and survive with varying degrees of Acadian identity. The deportation itself can be considered as the first symbolic element that has united these people. The second, was the epic poem Evangeline, written by the American poet Longfellow nearly a century after the deportation. The poem told the tale of two Acadian lovers, Gabriel and Evangeline, who were torn apart on their wedding day, only to reunite again years later, as Gabriel lay on his deathbed. The story brought the attention of Acadie to the world, eventually in 130 languages, and began a legacy of pilgrimage to the former marshlands of the Acadians. The third element began in 1907, when John Herbin, a descendant of the Acadians, bought the land thought to be the former site of Grand Pre, home of Evangeline. From a stone marker he placed where he believed to be the old church cemetery, a replica church and museum was opened in 1930, and the site would continue grow to become a National Heritage site, and Canada’s first Rural Historic District, complete with a multi-million dollar visitors center and a reconstructed Acadian Village, and a bronze statue of Evangeline. Since 1881, there have been Acadian conventions that were for the most part discussions about the rights and education of Acadian people. There were also small festival type events at some of the conventions, most notably in 1955, when after 18 years of inactivity, a festival was organized as the 11th convention, to mark the 200th year since the start of the deportation, and took place in several Acadian locales. These conventions all occurred on a small scale in Atlantic Canada. It wasn’t until 1994 that they began to stage the great festival of the World Acadian Congress, not until 1999 that the annual Grou Tyme Acadian Festival began in Halifax, and not until 2004 that the third World Acadian Congress was held in Nova Scotia. The year marked the 400th year since the arrival of the first settlers, and the 249th year since the first expulsion. Over 500,000 spectators participated in the two weeks of festivities. The following year marked the 250th year since the first expulsion, and the festivities carried on. In many ways this is quite similar to the tartanization of the Nova Scotia Celt. It is difficult to say if Acadianism reached its peak in 2004-2005, and the Grou Tyme parties will continue to flourish, and the Acadian flags will fly higher still. It is no secret however, that just as very few “Gaelic Nova Scotians” speak gaelic, many Acadians do not speak Acadian (or French) and have lost many ties to Acadie. In fact, today Acadie is an entirely different concept than it was in the times before the deportation. Modern Acadian music today is actually a mix of Rock, Celtic and World music. It is certain though, that the Acadians are among the most proud and fervent of all Nova Scotians. The situation is interesting, as it is quite possible to imagine that without the deportation the Acadians may have been assimilated entirely into the local population, yet the terrible circumstances may have instilled in them such a sense of pride and honour, that their culture as well as their language can still be seen all over the region. The group Le Grand Derangement is one such example of this pride and resilience and can be heard in their music (Y a jamais eu de grand dérangement – the term used to describe the deportations) and seen at their shows. Another wave of immigrants that have a place in Nova Scotia culture is the Blacks. Between 1783 and 1785 some 3000 Black Loyalists arrived in the province, many of whom had escaped slavery and fought for the British during the American Revolutionary War, with the promise of freedom afterwards. With a population of 2,500, Birchtown, Nova Scotia became the largest settlement of Free Blacks outside of Africa, yet due to the influx of new citizens, freedom did not come with the land and rations that were promised. By 1792, one third of them left Nova Scotia for Africa, where they founded the city of Freetown, Sierra Leone. Sadly, the history of the people that stayed is relatively unknown. Some accounts were recorded in bibles and personal diaries, but for the most part survival was the primary objective for these displaced people. Interest of their history increased in the 1970s and ‘80s, and several organizations were founded to try and recover the story of the Black Loyalists, among the other Black immigrants. More and more people are beginning to hear stories of the Black Loyalists not only for the first, but for the second and third times, as more is discovered about their history in the province, though it is rarely mentioned in detail in the school curriculum. The Black Cultural Centre for Nova Scotia in Dartmouth is a website that specializes in the protection and preservation of Black culture in Nova Scotia and provides information and oral history, as well as organizing events. As early as the Acadians, there are records of Blacks in Nova Scotian society. More still arrived with the New England Planters upon the expulsion of the Acadians. Many slaves escaped the United States and came to Nova Scotia while others still, were deported from Jamaica to Nova Scotia. Others from the Caribbean were recruited to work in the mines of Cape Breton during the 1920s. Villages were settled, such as North Preston, Cherrybrook, Yankeetown and Africville. Africville was a community settled in 1812, by about 80 Black families from different origins, and became a town in 1840. It was located adjacent to Halifax, beside the city dump and was split down the middle by a railway built in the 1850s. The population was about 400 people, who were denied water, sewage, sidewalks and street lights, among other things. Although economically and physically deprived the community was very strong and cohesive. However it was ultimately destroyed during the mid 1960s, in order to build a new bridge. The relocation of the Africville residents was similar to that of the Mi’kmaq to the reservations in the early 1800’s, as it saw people displaced from family and friends, and put into settings they were un-familiar with. The site, which is now a city park has been declared a National Historic Site and efforts are being made to see that the displaced people receive some sort of retroactive compensation and to try to restore historical evidence. Through the course of the suite, he re-creates life in Africville musically, and songs like “This Trains Comin’ ”, and “Sometimes I Dream”, are meant to pay homage to the simple aspects of life in the community, as well as the song “Dukes in Town”, referring to Duke Ellington, who often visited the parents of his second wife Mildred Dixon, who was from Africville. So much of the culture of the Nova Scotia Blacks has been taken away, and taken away again. Many of them arrived in the province, not knowing where they came from, and still have trouble creating a place to start over. A cultural recovery is still needed in order to see a major cultural renaissance, although this is indeed happening. If the Acadians were the first Europeans to settle the land, they were by no means the first inhabitants. The history of people in Nova Scotia can be traced as far back as 11,000 years. The Mi’kmaw are likely the descendants of these people, and a First Nation that traditionally occupied most of Atlantic Canada and parts of the state of Maine. Their territory however has since been politically divided into separate Provinces and Nations, and further into reserves. The very earliest reports from European explorers have described them as monsters and non-humans living in a far off land. The reality is that the Mi’kmaw were great craftsmen, highly skilled and advanced in environmental and human relations. Concepts such as greed, poverty and biases whether political, financial or professional would likely have been non existent. The Mi’kmaw interacted with the fisherman from Portugal, Spain, France and England, and continued to trade together and were mostly eager and helpful. This led to continued and prolonged stays in the region by the Europeans, and eventually settlements, which also led to the introduction of foreign diseases. This also led to a rapid deterioration of their culture and a change in lifestyle. They would adopt Christianity, they would learn new European skills, and they would speak new European languages. This was not a time of cultural exchanges however, this was a time of cultural supremacy and cultural genocide, and the British were always on the dominating side. One aspect that remains is in place names, many of which come from or are derived from Mi’kmaq such as Antigonish, Canso, Malagash and Muquodoboit, to name a few. As you have read so far, every account of the Mi’kmaw I have mentioned has been in relation to the Europeans. The explanation for this is simple: the accounts were written by the Europeans. Their history hardly “exists” before the arrival of the Europeans, and in the past their history was not seen as important before the Europeans. Further, the views recorded of the Mi’kmaq experience would be those as seen though the eyes of an outsider, translating customs, as well as words and thoughts. This is not to say that nothing is known of Mi’kmaw culture. On the contrary, there is a plethora known and available, however it is not promoted and embraced the same way the typical European-Canadian events tend to be. And maybe to a certain degree that is for the better for the time being, as to avoid exploiting the culture for a quick profit. Recently, the area of southwestern Nova Scotia has been proposed to host a multitude of protected natural sites to create a cluster-biosphere. The proposed area includes five provincial counties, the Acadia First Nation (Mi’kmaq) and Wildcat reserve, as well as Kejimkujik National Park and the Canadian Heritage Shelburne River. Many other important protected areas and partners are also included in the area. The aim is to receive support from the UNESCO/MAB (man and biosphere) which would encompass terrestrial, coastal and marine zones in the area, in turn create a focal point for research in the main economic sources of the region, being forestry, fishing and tourism. These such biospheres are designed to facilitate conservation, research, education and sustainable development through agreements between governments, universities, industries and communities. Globally, there were 337 UNESCO/MAB biosphere reserves in 85 countries, in 1997. The goal of UNESCO/MAB is to establish biosphere reserves in all 193 of the earth’s terrestrial bio-geographical provinces, in order to protect sizable examples of unmodified natural ecosystems. Also, some biospheres are designed to intermingle undisturbed areas with human altered areas, to measure different levels of impact that can be made by humans, such as monitoring acid rain and human-wildlife interaction to name a few. Nova Scotia’s leading private land conservation organization and non-governmental natural protection group is the Nova Scotia Nature Trust. They target cottage owners, which many Nova Scotians are, and look for funds to protect natural areas. They seek to protect many “coastal plain flora”, which are found in Southwest Nova Scotia, and nowhere else in Canada, and consist of some 60 plants, eleven of which are nationally at risk, and five which are globally at risk. This area is not only cottage country, but also Mi’kmaq country. The list of potential cooperating groups for the Biosphere include government, fishing, forestry, recreation, research, environment, tourism and also First Nations. This could be a perfect opportunity for a large-scale renaissance of Mi’kmaw culture, through activities involving the natural environment and outdoor setting. Such a setting could be ideal as to not compromise the integrity of the culture, yet offering maximum authenticity to the cultural experience. Furthermore, it is within this region that hundreds of arrowheads and tools dating as far back as 8,000 years ago have recently been discovered, along with V shaped stone fishing weirs on the bottom of the Mersey River, estimated to be 4,000 years old. That being said, there is still according to the census, another 50% of Nova Scotians who feel absolutely no affinity to any specific origin other than Canadian. The question for them would be then, is theirs genuine cultural growth, or simply creating a profitable “gimic” culture? To answer this question, one need only take a quick look at any Nova Scotian festival and events guide. Eco-related activities are very much a part of Nova Scotian culture and are alive and well, from tidal bore rafting along the Shubenacadie River, to exploring the thousands of kilometers of coastline, or paddling one of the province’s lakes, to hiking in the Highland mountains, not to mention bird watching all the while. And one must certainly not forget the town of Windsor’s claim to having invented Ice Hockey. As a coastal people, virtually every village community center will have a lobster supper at some point in the summer time. They are times of gathering and feasting mainly for the locals, but for tourists who happen to find them as well. 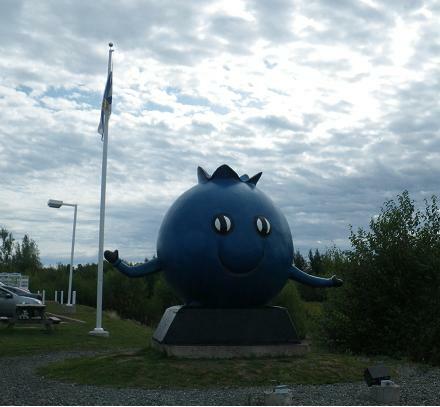 As the Province holds the claim to “Blueberry Capital of Canada”, blueberry suppers are also commonplace. Other typically Nova Scotian cultural happenings may not make that much sense, but can be found all over from the Mahone Bay Scarecrow festival, to the Pumpkin People of Kentville. To celebrate the harvest, the people of Kentville create an entire village of “pumpkin people” throughout the town, and for the larger pumpkins there is a regatta where large pumpkins are hollowed out and raced. Some are motorized with steering mechanisms, while others are more primitive having only paddles. Nova Scotians typically are people drawn to the water, and will be found in anything that floats, from a pumpkin to a round bottom lobster boat to a sailboat and everything in between. The Nova Scotia automobile license plates sum it up nicely in calling it “Canada’s Ocean Playground”. In fact, several festivals and events actually take place at sea, such as the Eastern Passage Sharkarama shark-fishing derby, where all sharks caught are displayed afterwards on the wharf for scientific study and public awareness. On land, Nova Scotians are drawn to music. Possibly the truest and original form of Nova Scotia music could be the “Mi’kmaq fiddle” which was a merger of the Scottish, Irish and French Fiddles but played the Mi’kmaq, who had never before seen a fiddle. Legends like Lee Cremo – the best bow arm in the world – and Wilfred Prosper, who truly created a Nova Scotian sound. The jazz musician Joe Sealy made an interesting comment about the effect of the landscape the province has. This indicates that though there are many spin offs and money making “gimics” to go along with Nova Scotia culture, it is truly a culture shaped by the land, and by the sea. Events and traditions do not need to be invented, as they often just “happen” as a result of the geographical circumstances. Since people first lived on what is now Canada, the land has been multi-racial, multi-cultural and multi-lingual. Even the First Nations were many distinct groups with their own traditions, languages and ways of life – a concept that has often been misunderstood. In 1971, Prime Minister Trudeau made a formal commitment to multi-culturalism by introducing the world’s first Multi-Cultural policy. The aim was to nurture and preserve diverse racial, ethnic and religious tradition, while at the same time creating self-worth with a sense of attachment and responsibility to Canada as a whole. The essence was integration based on the celebration and respect for the differences. Therefore, your heritage will partly determine what and how you celebrate. It also opens up the doors to add creativity to events, and to modify traditional practices, and even add new traditions to your family repertoire. This is not a bad thing, but the aim should then become one of creating an authentically new Canadian custom, or Nova Scotian custom, based on the old but with new local elements. Elements like hockey. In 2004 CBC television ran a series called The Greatest Canadian, where 1.2 million votes determined who was in fact the greatest Canadian. It came as no surprise that two of the top 10 greatest were involved with hockey. Whether you like the sport or not, if you have anything to do with Canada you will without a doubt be following the National Team at the Olympics. Where you watch the games, and how you watch them would be an interesting study in itself, but every Canadian will most likely be in the know, when it comes to hockey. By “spicing up” our culture, we will see signs of a cultural re-birth, however in many ways it will be simply a continuous cultural birth. And this culture that develops and matures and continues to develop will certainly have marketing potential, but only time will reveal the outcome. Historically, I think the world was largely governed by “The Golden Rule”, meaning those who have the gold, make the rules. This was indeed the case in Nova Scotia’s history, and it is reflected in the cultures that are prominent in our society today. MacDonald and other leaders like him used political sway to promote their Scottish interests, and the surge in Acadian culture can be seen as a sign of their increasing power and influence in society, after years of oppression and lack of self-worth. The German example is one of a comfortable minority that has seen relatively little hostility since their arrival in Nova Scotia is quietly and proudly doing their thing, and re-introducing their customs and practices for the sake of a good time. In the future of globalized trade and increasing international relationships, culture will without a doubt be included in linking nations, as showcases of both uniqueness and similarities. We have witnessed the successful link between Nova Scotia with Scotland and Ireland, and the profits it has led to. In the modern world it seems difficult to see anything without a dollar amount, and culture has become entangled in this. It is likely that as the Nova Scotian Mi’kmaq gain cultural status and prestige and not to forget marketability, the idea of Me-tooism will hit New England and they will likely emulate the strategies used in Atlantic Canada to gain awareness and profit of “their” Mi’kmaq. One can be left to wonder what will be the future of the link between the Nova Scotia Blacks and Sierra Leone. The Black and Mi’kmaq examples represent visible minorities, and show that although this is a land of cultural diversity and togetherness, there is still not total equality. This will likely change, as more leaders of visible minorities come forward and gain influence, which is certainly easier said than done. I think that the table is set for a renaissance in these two visible minority cultures in the near future, but will not see close to what the Scottish or Acadians have done. For their sake, I hope they can develop a confident and sustainable modern culture, full of integrity and with close links to previous generations, and with some marketability. Paul, Daniel. We Were Not the Savages: NEW: TWENTY-FIRST-CENTURY VERSION: A Mi’kmaq Perspective on the Collision between European and Native American Civilizations – Fernwood Publishing, Halifax, NS, 2000. Smith, E., Nygaard-King, B. Encyclopedia of Music in Canada – Lee Cremo. Paul. D. We Were Not the Savages: NEW: TWENTY-FIRST-CENTURY VERSION: A Mi’kmaq Perspective on the Collision between European and Native American Civilizations – Fernwood Publishing, Halifax, NS, 2000. Thefollowing up-date is provided to note a few of the groups discussed in this article, five years later. It is by no means complete, however offers some insight into their efforts. I have added the titles of several clips belonging to the Nova Scotia Archives, which can be viewed on Youtube.com. They are a nice compliment to this subject, as they offer a first hand glimpse into the identity they were trying to create in the ’30s, ’50s and ’60s and how it has evolved over time to the present. In 2009, there were over 3,000 partygoers attending the Tatamagouche Annual North Shore Bavarian Society Oktoberfest, including a dance Friday evening, Beer Gardens Saturday afternoon and a dance Saturday evening; concession booths featuring Canadian and German cuisine, such as sausages, schnitzel, lobster rolls and cheesecakes; as well as variety of souvenirs including, beer steins, T-shirts, sweatshirts, hats, pins and other novelty items; along with beverages from Domestic and German beers to local wines and Imported spirits, and the infamous Schnapps Bar, soft drinks and coffees are also available. German language schools are also on the rise. Grand Pré and environs (rural and spiritual) are listed as a candidate for UNESCO World Heritage Status. Events held at Grand Pré include: Artist Workshops, archaeological digs, Celtic music concerts, swearing in of new Canadians, historical recreations, picnics, day camps, art gallery, art shows and sales, etc. In 2009, Société Promotion Grand-Pré created the André-D. Cormier Certificate to recognize individuals for their exceptional contribution to the outreach and sustainability of the Grand-Pré National Historic Site of Canada. In November, 2009, an hour long rally took place before the Olympic Torch Bearers (Vancouver 2010) arrived which featured free hot chocolate and fun activities for the whole family at the National Historic Interpretative centre at Grand Pré. There was also a UNESCO table set up with giveaways; an Art display; volunteers dressed in period costumes; and a showing of the Deportation movie. 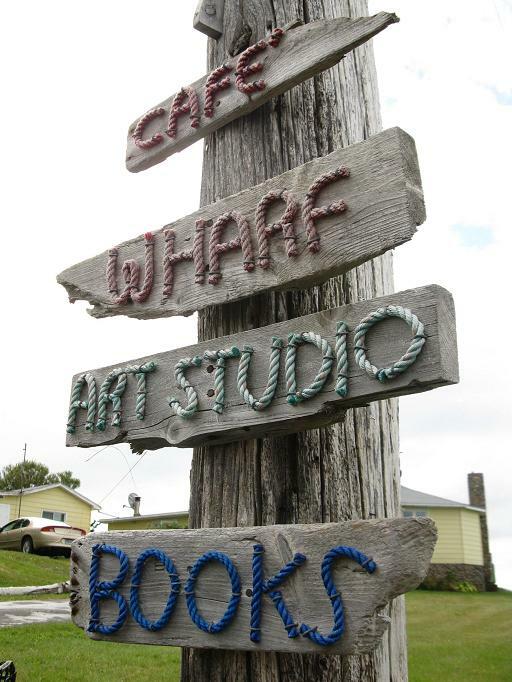 Acadian cultural activities are thriving in Nova Scotia, and are a major player in the Nova Scotia Tourism Industry. “Jambo/Greetings brothers and sisters of the Global Village. Many times we require an awakening of the mind, body and spirit and that is just what we offer here at the one and only place of its kind in the world: The Black Cultural Centre for N.S., an African-Nova Scotia Museum/Library Resource Centre. Wise words and a noble mission. Dedicated work from centres such as the Black Cultural Centre, and other figures including Eddie Carvery and Irvine Carvery and Nelson and Victor Carvery, four among many who have made it a life’s work to return some dignity and truth to the site of Africville. “If we do nothing now, nothing will get done, period.” Says Nelson Carvery. A 2007 feature film starring Danny Glover was made in Halifax, telling the story of racial tensions and the deep rooted history of boxing in Halifax, particularly among the Blacks. Other recent activities have included a talk about Eliza Ruggles Raymond, Sarah Margru Kinson and the work of Nova Scotians who helped freed slaves return to their homes in West Africa. Before she returned to Canada, Eliza received a gift of woven cloth of traditional West African design made by Sarah. Join Historian Nancy O’Brien of the Heritage Trust of Nova Scotia for a look an amazing story linking two continents and two women of great strength and determination. In February of 2010 Canada post will issue a stamp in honour of William Hall, the first black man as well as the first Nova Scotian to have been awarded the Victoria Cross, the British Empire’s highest honour. The stamp features an artist’s rendering of Mr. Hall, wearing a coat with war medals attached, in the foreground while a 19th-century ship sails away in the distance. Mr. Hall “left a rich historical legend but he died a poor man,” writes Bridglal Pachai, an author, a historian and human rights advocate. Next month’s stamp unveiling is one of a host of events planned for this year’s version of African Heritage Month. The celebration kicks off Jan. 27, in Halifax, with a ceremony at Province House and with additional events at the Nova Scotia Black Cultural Centre and elsewhere. Also in February 2010, the Mayor of Halifax made a formal apology to the former community of Africville. “I’m here today on behalf of Halifax regional council to deliver a formal apology to all those whose lives have been altered by the loss of Africville in the 1960s,” Mayor Peter Kelly said at a ceremony held at the YMCA in north-end Halifax. The apology came along with nearly $5 million from three levels of government for the black community — $3 million from the city, $1.5 million from the province and $250,000 from the federal government. One hectare of land is also included in the agreement, along with a commitment to rebuild the Seaview United Baptist Church on the site. It will be used as an historical interpretative centre. Seaview Park will be renamed Africville, and will still be owned by HRM. Also a new department at city hall will be created to deal with issues that affect African Nova Scotians. A Globe and Mail article from May 2010, discussing the provinces history of racism indicates that the unemployment rate among Nova Scotia blacks in the 1980s was around 50 per cent, to 20 per cent in 1996 and 11.8 per cent in 2006 – within one percentage point of the black employment rate in the rest of Canada. There is still, however, a lot to correct. On June 21, 2006, The Glooscap Heritage Centre was officially opened. The centre has a modern visitor information desk and a gift shop with an aboriginal focus. It has received the support of the Millbrook First Nation community, and became a reality through the cooperation of many levels of government, organizational and community support. The centre is managed by the Glooscap Heritage Society the facility offers exposure into the legend of Glooscap and the cultural significance for the Mi’Kmaw people. The center is home to many artifacts, aboriginal gifts and crafts and a multi-media presentation. Language training is offered, It also features meeting and convention space. A business park has been set up on adjacent land. A 40 foot statute of Glooscap can be seen from miles away and has become one of Nova Scotia’s landmarks. National Aboriginal Day (June 21) is celebrated at the Glooscap Heritage Centre in Millbrook annually, and features Mi’kmaq culture and heritage through events such as traditional drumming, dancing, storytelling and art and craft. In November 2009, the Olympic torch (Vancouver 2010) entered the Glooscap Heritage Centre and a brief, well attended Ceremony was held where Elder Madeline Martin blessed the flame. Less than an hour before arriving at the Glooscap Centre, Chief Lawrence Paul ran the torch through Truro. The Mi’kmaq are making major advances not only in the promotion of the culture, but specifically the preservation and understanding of many aspects. The Confederacy of the Mainland Mi’kmaq consider the Debert area of Nova Scotia among the most significant archaeological sites in North America. Plans have been ongoing to build a facility to accompany the existing trail and other outdoor learning experiences. The Centre will be a gathering place for healing and cultural activities including workshops and teaching, a community gallery, and will include meeting space for Chiefs and Councils and other organizations and groups. In December, 2009, a federal contribution of $420,000 was made to the proposed project, while the province is contributing $112,000. The money go towards a site assessment, reforestation and planning for the 450-hectare site. The site must be studied before design and construction can begin in order to separate and protect it from public areas. It is expected to attract 50,000 visitors a year once complete. For 5 days in June 2010, the province will be celebrating the 400th anniversary of the baptism of Grand Chief Henri Membertou. Membertou was an important Mi’kmaq shaman and prophet, and became the first non-European to be baptised in New France (Canada). The festivities will include a re-enactment, a traditional Mi’kmaw village, dance and drum competitions, demonstrations by First Nation artisans, a free concert by Buffy Sainte Marie and an open-air mass. It is expected to draw thousands of people and will be one of the country’s largest powwows, known as Mawio’mi in Mi’kmaq. In 2006, the Atlantic Gaelic Academy was established. It uses new teaching methods and technology to teach the Gaelic language. The Academy conducts in-person classes and distance learning throughout North America, at all levels using texts and materials with CDs and sound files by fluent Gaelic speakers. The Academy now has the largest number of Gaelic students of any organization in North America. In 2007, The Office of Gaelic Affairs and the Highland Council recruited a fluent Gaelic-speaker from the Scottish Gàidhealtachd to live and work in Cape Breton and assist with ongoing language learning activities. Today more than a dozen public schools in the province offer Gaelic, as well as advanced programmes at Cape Breton, St Francis Xavier and Saint Mary’s Universities. The Nova Scotia Highland Village offers a bilingual interpretation site, presenting bi-lingual interpretation for visitors and offers programs for the local community members. The Gaelic College of Celtic Arts and Crafts in St. Ann’s program offering includes Gaelic summer classes. The year 2009 marked the 146th Highland games in Antigonish and now features more than 50 activities. Close to 58% of the visitors were from out of Province, while more than 2,600 spectators and participants attended the event, with the resultant visitor expenditures totalling $781,000 in Antigonish County. The annual Celtic Colours fall festival of 2009 in Cape Breton received international attention when it was presented on Celtic Music Radio, based in Glasgow, Scotland. Nova Scotia is home to one of the few living Gaelic cultures outside of Scotland, setting us apart from other North American destinations. The old world has been shaped by the new on Cape Breton Island where Gaelic language, music, song, and dance are part of the cultural fabric and key to its identity, as well as an important niche for Nova Scotia’s tourism industry. The plan notes that the Department has partnered with the Celtic Heart of North America Co-operative to play a key role in delivering this cultural experience. Currently, the Celtic Heart of North America is a cooperative representing the Highland Village, Gaelic College of Celtic Arts and Crafts, Celtic Colours International Festival, Celtic Music Interpretive Centre, Glenora Distillery, Féis an Eilein, and the municipalities of Inverness and Victoria counties. Value and experience are key – The focus on top-notch experiences is more important than ever. The Celtic Heart of North America Co-operative is exactly that – industry members coming together – and we plan to creatively package our experience. We’ll have more to announce on that in the future, so please stay tuned! Many Celtic festivals in the United States and abroad feature a Nova Scotian Kitchen party/ceilidh. What is interesting and quite special to note is the way that these and other cultural groups have collaborated. This is most visible in the musical performance of DRUM! Beginning in 1999, and making its full-length debut in 2004, DRUM! takes the story of the rhythms of Nova Scotia and blends them on stage in a show that combines Aboriginal, Black, Acadian and Celtic music and culture. “Possibly the most moving performance we’ve ever presented in our theatre,” said Darrell Bryan, Hall Manager, Greenville, Tennessee. Along with DRUM!, many other events feature a blend of the local cultures, and have even combined Acadian and Jamaican cultures. And finally, after 10 years of discussions and planning, the Southwest Nova Biosphere Reserve Association will be getting its first real funding. In September 2009, an amount of $285,000 was given by the Government of Canada to the UNESCO endorsed biosphere reserve project and will receive $57,000 each year through 2013. This investment will facilitate activities and projects within the Southwest Nova region related to conservation, sustainable development, and capacity building, as well as with co-ordination of projects such as community engagement, sustainable tourism, and promotion of other sustainable economic activities. Nova Scotia writer, entertainer and folklorist Clary Croft continues to serve as the province (and region’s) un-official seanchaí (Gaelic for story-teller), Bruce Nunn serves as local know-it-all, and Nimbus Publishing in Halifax since 1978 has been publishing local content ranging from Nova Scotia cookbooks, folklore, history and so on. No matter what the inspiration or reason, profit or not, any attempt to recreate culture is good in my book! Great Post. I have read quite a few posts on this subject and you have written about it the best. Keep it up!